As a Sizzix® and Clearsnap/ColorBox licensed designer, owner and designer for The Stamps of Life, Stephanie Barnard® is widely recognized by papercrafters everywhere for her contagious enthusiasm for cardmaking and scrapbooking. Stephanie loves to share her passion with everyone, especially when using her designs to make her popular “cards that wow!” Her 5-minute cardmaking techniques that use her Sizzix Flip-its™, Stand-ups, Step-ups™, Drop-ins™, 3-D Drop-ins™, Drop-ins™ 2.0 and Fold-its have been huge hits. Her popular YouTube videos are extremely helpful for their detailed step-by-step instructions and quick crafting tips. As a highly sought-after teacher and educator, Stephanie has taught across the country and internationally at events in the UK, Canada, Australia, and South Africa. She has made numerous TV appearances, including for HSN, QVC in the US and UK, and The Shopping Channel in Canada. Stephanie’s goal for 2019 is to continue to share and educate papercrafters with all the wonderful creative techniques to make cards that wow! She looks forward to seeing you in one of her future classes, so please make sure to say hi! Join Stephanie Barnard at the Show! The Stamps of Life Designer Stephanie Barnard® is always on the cutting edge of die-cutting, stamping, and 3D card innovation! 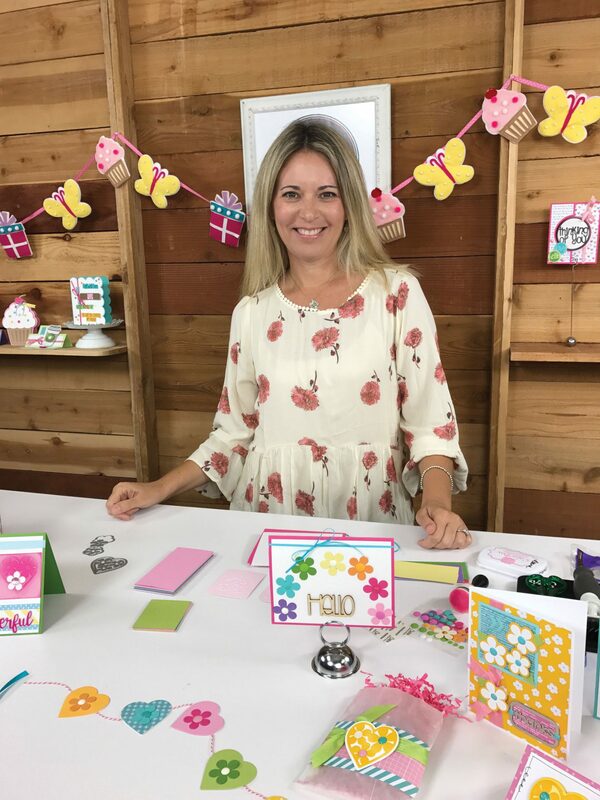 Stephanie’s fun signature designs have a place in the hearts of many crafters, and her passion shines through in her new 2019 collection. In this BRAND-NEW, demo/lecture class, Stephanie shares her hottest new dies and techniques and shows you how to create on-trend projects with ease. And for attending, you will receive a FREE VIP swag bag loaded with The Stamps of Life goodies! What products will be highlighted: The Stamps of Life’s hottest 2019 products by Stephanie Barnard®. What will I learn or complete: This is demo/lecture-only class. You will receive a FREE VIP swag bag loaded with The Stamps of Life goodies to create with at home. What do I need to bring to class: A pen to take notes. What techniques will I learn or use: You will learn how to use the hottest new dies by The Stamps of Life. Plus, you will learn how to create new 3D looks with ease using die cuts. Will I complete this project in class: Work at home will be needed to finish projects.